Parker offers every type of hydraulic part you could possibly need for virtually hydraulic application. This includes a variety of Parker hydraulic motors Fresno CA. Parker motors are designed to provide smooth output and reliable, stable performance, often with surprisingly quiet operation. With all these benefits, why wouldn’t you want to try a Parker motor for your next hydraulic parts purchase? 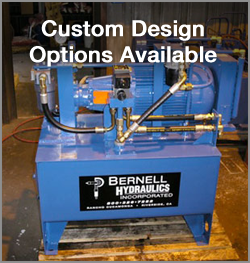 To learn more, just visit one of Bernell Hydraulics’ authorized ParkerStores. As a family company with over 30 years in the hydraulic parts and service industry, Bernell Hydraulics has the expertise and experience you depend on to help you select the very best parts for your hydraulic system. As an official distributor for Parker parts, we can not only get you the authentic Parker hydraulic motors Fresno CA that you require, but also provide the technical knowledge and expertise needed to get the most out of those motors.